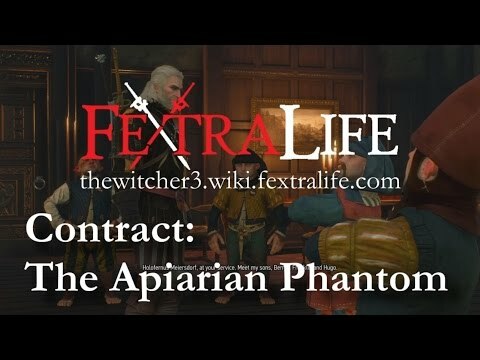 The Apiarian Phantom is a boss Creature/Monster in The Witcher 3: Wild Hunt. The"Apiarian Phantom" destroying the Meiersdorf family's hives turned out to be a lost Hound of the WIld Hunt. When fighting such a beast, one must bear in mind three things. FIrst of all, that the thick armor of ice covering it can only be pierced by strong blows. Second, that, like any other frost-born creature, it is vulnerable to fire, the Igni Sign included. Third and last: that it shall show no mercy. Though the hound fought fiercely, it nevertheless fell to the witcher's blade. By killing this dangerous monster, Geralt saved the humans, halflings, and, last but no least, bees of the area from further torment." 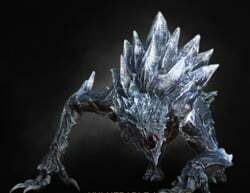 Strategy: The fight below shows how to deal with this enemy during the contract. Notes on Lore and players notes go here.